Rob Pardo told MTV that Blizzard Entertainment has always wanted to bring its franchises to the silver screen, but they first need to find the right production team. Rob Pardo thinks a Starcraft film could be possible with someone like James Cameron leading the project. He is currently involved in the sequel to the box office success Avatar. Check it out at MTV. Unofficial Starcraft Chronicles CGI Film – Ship Ahoy! Once a talented Croatian CGI Artist, and fan of the Starcraft? RTS game had a … dream. To gather other talented Starcraft fans from every corner of the globe, beyond the discrimination boundaries of real-life wars, race, or beliefs. Coming together to create a fan-made masterpiece … an Unofficial CGI film of Starcraft. Two weeks ago, Joystiq and Kotaku headlined … Starcraft Chronicles: Calling all 3D animators and the like! Today, people from Asia, Europe, Africa, The Americas and Australia form a strong team of 131 members. Over 75 3D modelers. And it keeps growing every passing day. And not just any kind of fan, but old-school Starcraft fans who are now in TV stations, Hollywood CGI Industry, Game Studios and corporations, Film, Graphics and Animation College Students and graduates. The list goes on. Everyone aware that it is a volunteer and non-profit project. Love for this legendary RTS game and for Blizzard Entertainment pouring through their veins. This is no longer the dream of one man. It has evolved into the collective dream of the Zerg … I mean, of many talented fans. It is a tribute to the many years of games of excellence, and to the talented team of Blizzard Entertainment. And a gift from fans to fans who have long awaited a sequel to Starcraft. In the upcoming days, Team Leader Kristijan Stuhli and Mitch will release a Workflow/Pipeline plan to all team members. Project Managers and supervisors will be assigned. The Concept Art team already started production, which initiates the first cycle of development of a short Teaser trailer. The teaser will hype Starcraft fans and will show a glimpse of what this team is capable of for the lengthier 30-minutes CGI Film. Although Blizzard Entertainment has not issued any comment about the unofficial fan-made CGI film, DiVX Corporation has offered encoding support and distribution of the Teaser Trailer and CGI Film. No release date of the teaser trailer is available at this early stage of development. If you wish to know exactly how the Starcraft Chronicles Unofficial CGI Film will look like, for comparison’s sake, watch this Marvel Ultimate Alliance Teaser trailer at Gametrailers.com—Kristijan Stuhli says the Starcraft Chronicles CGI should be better. I’ll leave you that as homework. Currently only experienced High-poly 3D Modelers for characters and vehicles are considered to join before closing recruitment. Expert Texturers(Maya only), and Concept Artists are still welcome to join up the CGI team. Below are more samples of some of the members at the moment of recruitment. J. J. Franzen – is an experienced industry veteran from South Park (Technology Supervisor) and Team America: World Police (2004) (Animator: Additional Animation). South Park and Team America are TM & Copyright of 2004?Paramount Pictures. All rights reserved. J. J. Franzen uses his spare time and/or weekends to help with the Starcraft Chronicles CGI – as a volunteer Lighting /Rendering Supervisor and Consultant. He is a fan of the Starcraft game, like all of the team members. Note: Team America was directed and written by Trey Parker & written by Matt Stone – who are not involved in the Starcraft CGI development. PiNPOiNT is an experienced animator. His latest work was at Everyone’s Hero CGI film (September 2006). Both images are TM and ?2006 Fox and its related entities. All rights reserved. Property of Fox. TM and ?IDT Entertainment and its related entities. All rights reserved. Naughtyboy – Experienced concept artist of characters and creatures with awesome realism and focus to details. character building process including skeleton binding and keyframe animation. ?1998 Blizzard Entertainment, Inc. All rights reserved. 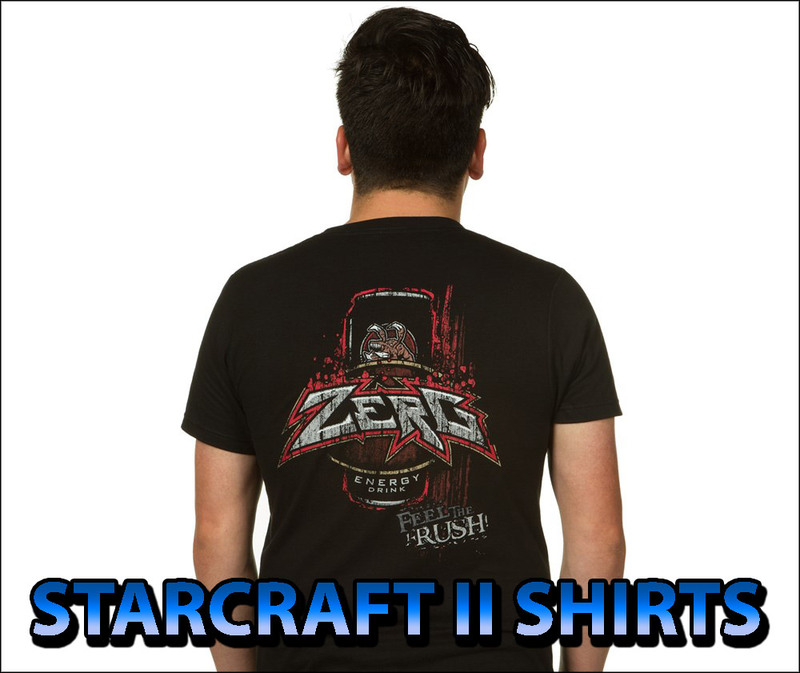 StarCraft and Blizzard Entertainment are trademarks or registered trademarks of Blizzard Entertainment, Inc. in the U.S. and/or other countries. Starcraft is by far the Best RTS game of all time – with over 9 millions copies sold worldwide, since 1998. A Real-time-strategy game that has lived on for eight years straight without any sign of weakening. The game still devotes many worldwide Starcraft tournaments year-round with prizes ranging $25,000-$100,000. Almost a national sport in Korea, and a most played game in many nations around the world. The Starcraft franchise was expanded when Blizzard Entertainment announced with a lot of hype the console game Starcraft: Ghost, on September 22, 2002. For four long years, every Starcraft fan has awaited this game with anticipation. The game originally was developed by Nihilistic Software and Blizzard Entertainment. The development cycle was extended when the expected Summer 2004 game release date was delayed. On 2004, Nihilistic departed the project due to a contractual commitment to develop Marvel Nemesis: Rise of the Imperfects. Shortly after, Swingin’Ape Studios was welcomed aboard to resume development of Starcraft:Ghost [July 8, 2004], however, the development of the Gamecube version of Starcraft: Ghost was dropped. A year later, Blizzard Entertainment surprised us with the acquisition of Swingin’ Ape Studios to become Blizzard Consoles Department [May 16, 2005]. When everyone thought Starcraft: Ghost was about to be released, the worst nightmare of any fan happened after Microsoft released the first Community Technology preview version of XNA [March 14, 2006]; and announced XNA officially at the Game Developers Conference in San Jose, California [on March 24]. That very same day, Blizzard Entertainment issued a Press Release … Starcraft: Ghost was postponed indefinitely. This immediately rose up the idea that the XNA announcement and the postponement of Starcraft: Ghost were related. That, and some rumors around the net that Blizzard had acquired 1,000 optetron servers. Here you may read what XNA Technology does, to make sense out of this. Many fans refuse to accept the game is dead, like known-vaporware Warcraft Adventures. Blizzard has announced plans to develop games for Xbox 360 and PS3, and a recent job opening requested knowledge of Wii a plus. Whether Starcraft: Ghost will be ported to the next generation consoles is yet to be seen as there is no official announcement. We will just have to sit and await its outcome. After a four-year wait on a hyped-game that didn’t come out, fans are bummed out for the long wait, and others – like me – for spending some money in advance [/Hijacks thread: Yea, I am still pissed over spending $99.99 on a GameCube and $299 on a huge TV exclusively to play Starcraft: Ghost, to have it cancelled two weeks before its announced Spring 2004 release date!]. Returning to sanity … minus some $400 bucks in my pocket … and after a couple of yoga-meditation humming, we may still look forward to see the game return from its hiatus. In the meantime, old-school Starcraft fans still have a couple of interesting and significant pocketbooks to take a look at for its lore and emotional value: Starcraft: Queen of Blades by Aaron Rosenberg – based during the time Sarah Kerrigan is captured by the Zerg, and emerges from a chrysallis as the Queen of Blades. The book released on May 2006 immerse us into the culture of the Dark Templar when Tassadar undergoes training with Zeratul. Other cameo appearances in the book are Jim Raynor, General Duke, Daggoth, Zazz and the Overmind among others. Another pocketbook to be released at an undermined date is the prequel to the console game, titled Starcraft Ghost: Nova by Keith R.A. DeCandido. Personally, my hope in the Starcraft franchise is not dead yet. Yea, call me a masochist … but the dream still lives on. This might be still unknown to the majority of the fans, but Christie Golden – writer of Warcraft: Lord of the Clans, and author of many Star Trek novels—specially the Voyager series—will write a Starcraft Trilogy. With both books mentioned above and a trilogy coming out, this gotta mean something is planned down the pipe by Blizzard Entertainment in the near future. The title and plot of the Starcraft trilogy pocketbook is still unknown. However, Christie Golden promised an interview with us around November, when she will be able to talk more openly about the trilogy. Beyond the books, a starcraft lore boost thriller and a hope that Starcraft: Ghost makes a return on Next Generation consoles – though uncertain, all we have are fan-made projects to satiate our crave for more Starcraft groove. First, we have the Project Revolution – a Total Conversion that will allow fans to play Starcraft in 3D using the Warcraft 3 Engine. It will be featured on PCGamer Magazine on September 2006 issue. A total conversion made by fans for fans, worth to get our paws onto. I was shown a short gameplay video a couple months ago. Trust me … it looks gorgeous in 3D. The date release of the total conversion Project Revolution is not too far away, according to one of its developers. Wait and see! The second fan-made Starcraft project to keep an eye on is Starcraft? Chronicles – a high-quality CGI Film. The news of a unofficial fan-made CGI Animation Film surely hyped up many fans when Joystiq and Kotaku featured it on the news. Immediately the leader of the project was swamped with 160 emails of 3D modellers, animators, voice actors, Sound/Music Composers volunteering themselves for the CGI Film. Even Hollywood film/CGI professionals became interested, and excited in volunteering to make their dream of a fan-made CGI Animation film a reality. From day one, the Starcraft Chronicles leader- Croatian Kristijan Stuhli – said the film will be non-profit and none of the volunteers will be paid – to not violate the EULA or infringe international copyrights and trademark of Starcraft?. bodhisattva – proficient in 3DSMAX, speciallizing in Animation, character building process including skeleton binding and keyframe animation.